School is winding down, warm weather is here (with the bugs) and it’s perfect running weather. 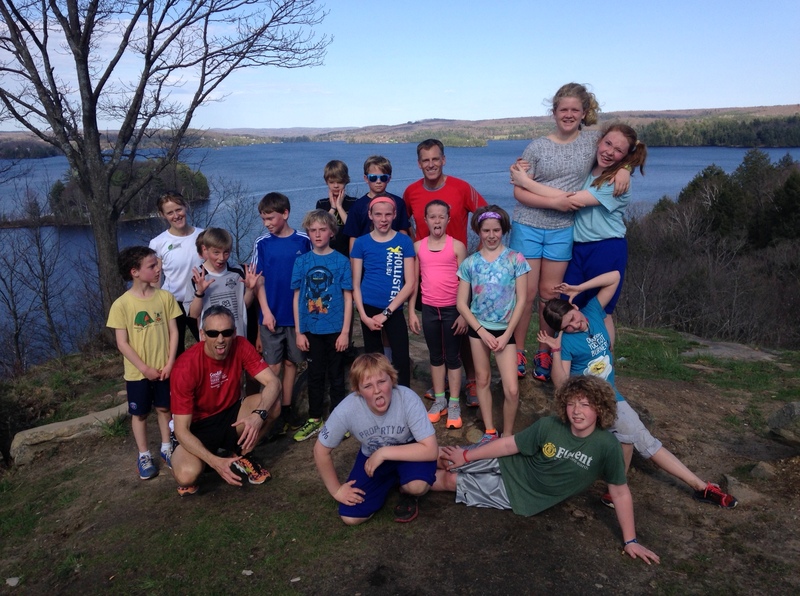 Week three of the MARS Spring 5K Training Program for grades 6,7,8 was a huge success today. The kids built on knowledge gained over the last two weeks to do a challenging hill workout today. 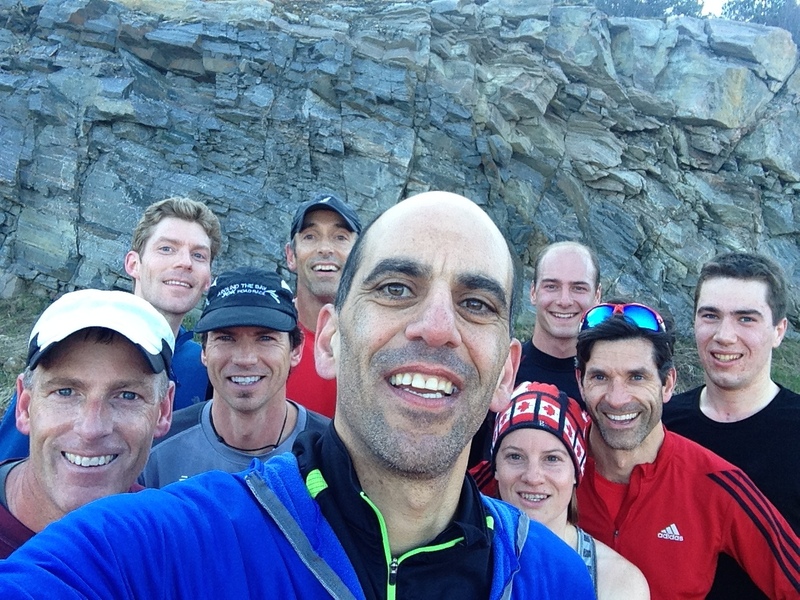 They capped off over 5km of running with a final ascent to the top of Lion’s Lookout. They are troopers! Proof that MARSians meet every Tuesday at 6:30 am. Why not join us? See Calendar tab for details. MARsians running 1000m repeats. Click HERE. Three MARSians and a few other Muskokans battled The Goodlife Toronto Marathon and Half Marathon on May 4, 2014. Leading the way were the women. MARSians Katherine Ahokas and Catherine Smith had PRs today (personal records). Catherine Smith ran a 3 min PR in 1:53:55, and was 22/164 in her age category. Katherine Ahokas continued her great season with a second PR in the last 5 months in the half marathon. Katherine ran 124:36, was the 6th woman overall, 29th in the entire race and 2nd in her age category. Pierre Mikhail ran 1:23:21 and was 24th overall and 1st in his age category. 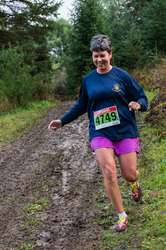 Other runners today included Jennifer MacMillan (1:42:46) and Leeanne Leduc. Over 4000 runners took part in the half marathon. Carly Dodgson ran the marathon in 4:15:04. MARSians continue to train this week with workouts Tuesday 6:30 am at Conroy Track, 12 noon Thursday at Highway 60 Tim Horton’s and Sunday 7 am long run from 1027 East Walker Lake Drive at 7 am (coffee afterwards). Details at Calendar tab. Come join us. 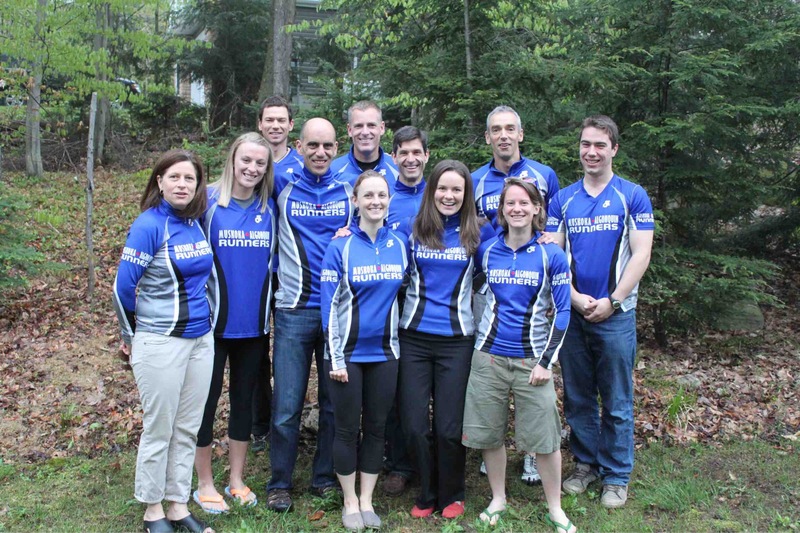 9 MARSians are heading to the Vermont City Marathon and Marathon Relay on May 25. The group departs May 23. Good luck to Troy Cox, Mark Sinnige, Dave Johnstone, Lowell Greib, Pierre Mikhail, Tina Steele, Wendy Shirtliff, Katherine Ahokas and Jess Sheppard. The next Run to the Pub is May 22. Join us for a run at 4:30 pm from River Mill Park and/or some time in the pub starting at 5:30pm. MARS continued its 5K Clinic for grades 6,7,8s today. The kids have been awesome and we expect them to rock the 5K Band on the Run in June.